I really enjoyed this book; it combined my love of libraries with a culture that honors its ancestry. Fiona Sweeney is a librarian in New York City who desires more than her world. 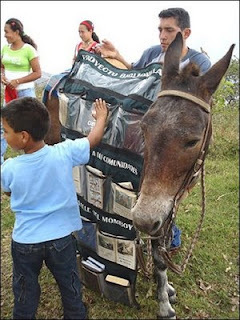 She applies for and is accepted to be a consultant in a new venture in Africa, the camel bookmobile. I really liked that this book didn't linger too long on the African culture itself as some books I have read in the past. It did discuss it, but in just the right amount to not lose the readers attention. As Fiona continues on, the village of Mididima embeds itself on her heart. 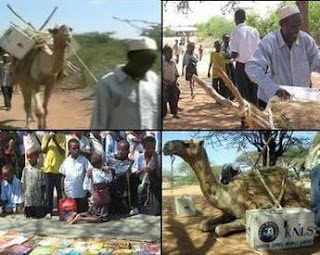 Specifically three people, Taban, Kanika and Matani are deeply affected by the Camel Bookmobile. This story carries with it the good, bad and possibly considered ugly effects of having change brought to peoples lives. Most people on this planet are happy in their own world, some would say ignorantly happy because they don't know anything different. Some don't want change in their lives because of this happiness and some just fear the unknown. And, in the end, sometimes we try to go back for what we once had only to find it is no longer there OR it is never the same. I would challenge each of us to look back on our lives at the changes we have experienced, the ones we have chosen and the ones placed upon us by others whose intention is only to improve our lives. Then take it a step further and look back at the lives of your parents, grandparents and beyond, what differences do you see, are they all for the better? Most specifically to the storyline of this book, what books have changed your life? I really enjoyed the book too! That was a great review. Books really can change our lives - I have learned a lot about other cultures, history, some valuable life lessons and even unsersatnd myself better from books. I liked the book a lot, too. I find myself being an advocate for change, but do recognize the need to hang on to older traditions as well.